A skier practices ahead of the slopestyle qualifications during the first day of Dew Tour Wednesday, Dec. 13, at Breckenridge Ski Resort. Torin Yater-Wallace of the United States eyes a landing during Wednesday's Dew Tour ski superpipe qualification round at Breckenridge Ski Resort. Yater-Wallace, of Aspen, advanced to Friday's final round in third place with a score of 88.33. Alex Ferreira of the United States rotates high above the Dew Tour superpipe during Wednesday's men's ski halfpipe qualifier. Ferreira tallied an 89.66 to qualify in second place for Friday's final. Devin Logan of United States competes in the superpipe qualifications during the first day of Dew Tour Wednesday, Dec. 13, at Breckenridge Ski Resort. Red Gerard of Silverthorne competes Wednesday in the Dew Tour men's snowboard slopestyle qualification round at Breckenridge Ski Resort. Gerard scored an 80.66 to qualify for Friday's final round as the top American and in second place overall. Mons Roisland of Norway competes in the Dew Tour men's snowboard slopestyle qualifiying round Wednesday at Breckenridge Ski Resort. Roisland tallied a score of 78.33 to qualify in third place for Friday's finals. Sabrina Cakmakli of Germany competes in the superpipe qualifications during the first day of Dew Tour Wednesday, Dec. 13, at Breckenridge Ski Resort. 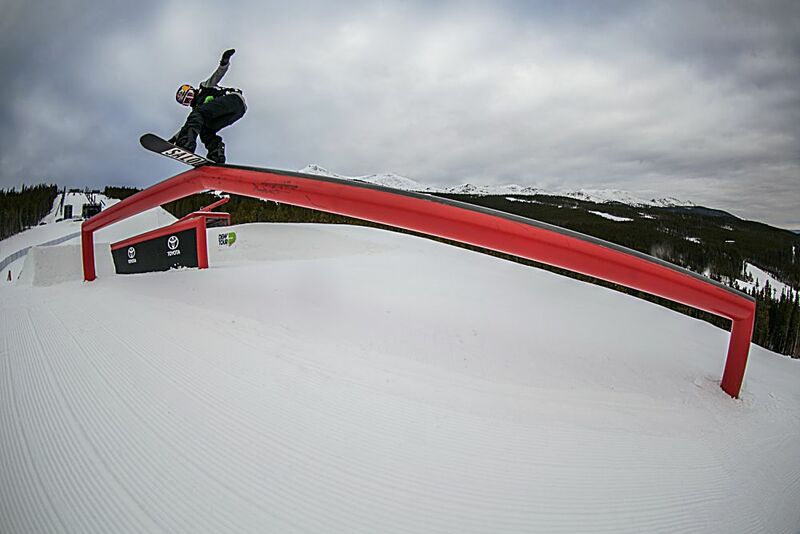 Cassie Sharpe of Canada competes in the superpipe qualifications during the first day of Dew Tour Wednesday, Dec. 13, at Breckenridge Ski Resort. 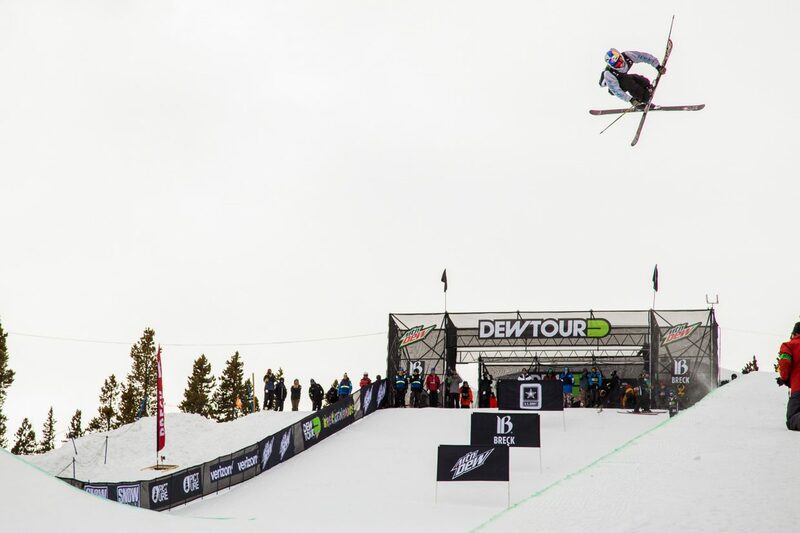 U.S. skier David Wise soars about the Dew Tour superpipe during Wednesday's qualifying round. Wise qualified for Friday's final round in first place with a score of 93.33. Silje Norendal of Norway competes in the slopestyle qualifications during the first day of Dew Tour Wednesday, Dec. 13, at Breckenridge Ski Resort. 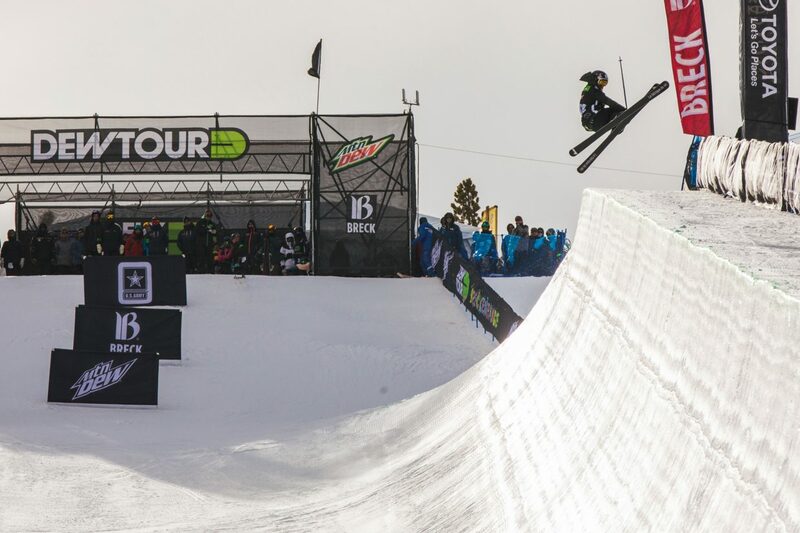 A week after winning the U.S. Grand Prix ladies ski halfpipe at Copper Mountain Resort, Marie Martinod of France qualified in second place at the same event at the Dew Tour on Wednesday with a score of 86.33. 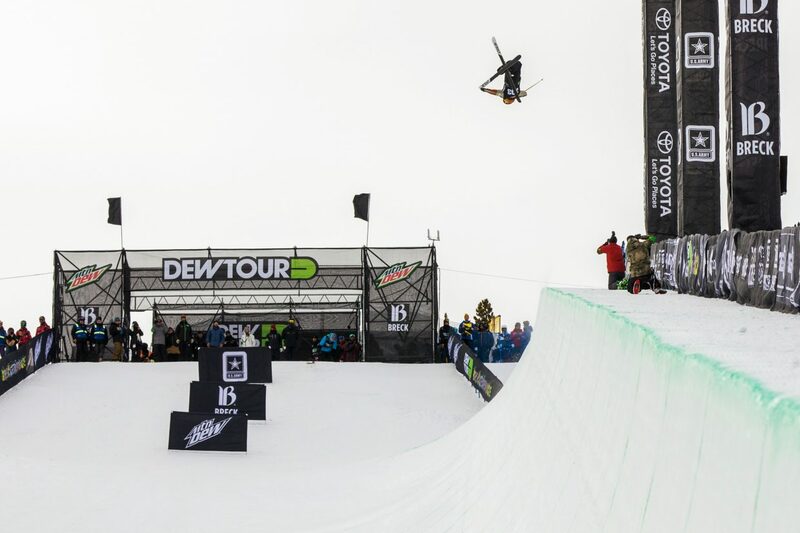 Brita Sigourney of the United States eyes a landing on the Dew Tour superpipe during Wednesday's qualification round. Sigourney's 85.33 qualified her in third place for Friday's final. 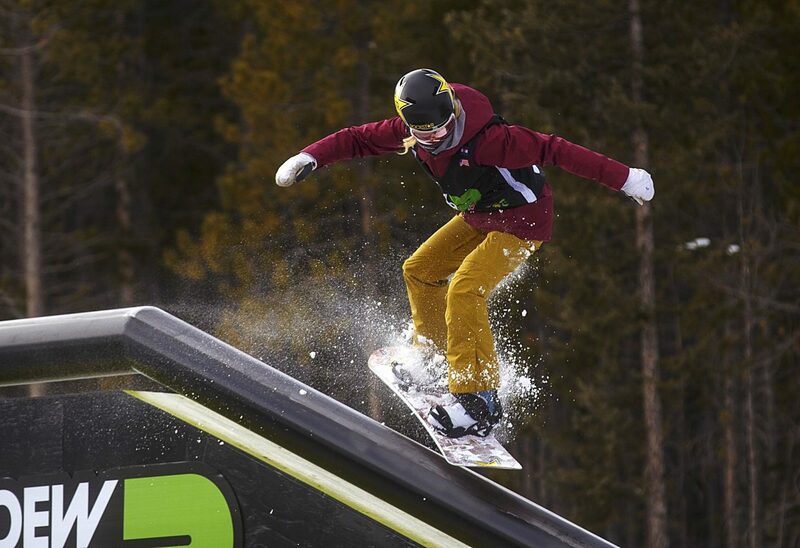 Judd Henkes of the U.S. competes during Wednesday's Dew Tour men's snowboard slopestyle qualifying round at Breckenridge Ski Resort. Henkes was awarded a 74.33 to qualify for Friday's final round in fifth place. 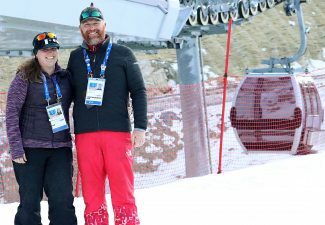 With his eyes on qualifying for the Pyeongchang Winter Olympics in two months, snowboarder Red Gerard of Silverthorne showed out on Wednesday, finishing in second on the slopestyle course ahead of Saturday morning’s snowboard slopestyle finals. Gerard was one of a dozen snowboarders to make the cut for Saturday’s final from an original group of 27, as Stale Sandbech of Norway easily took first heading into the weekend. 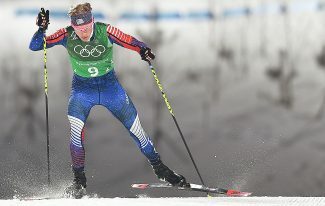 Sandbech finished nearly 10 points ahead of any other rider, with a 90.33. Gerard took second with an 80.66 while Sandbech’s countryman Mons Roisland tallied a 78.33 for third. 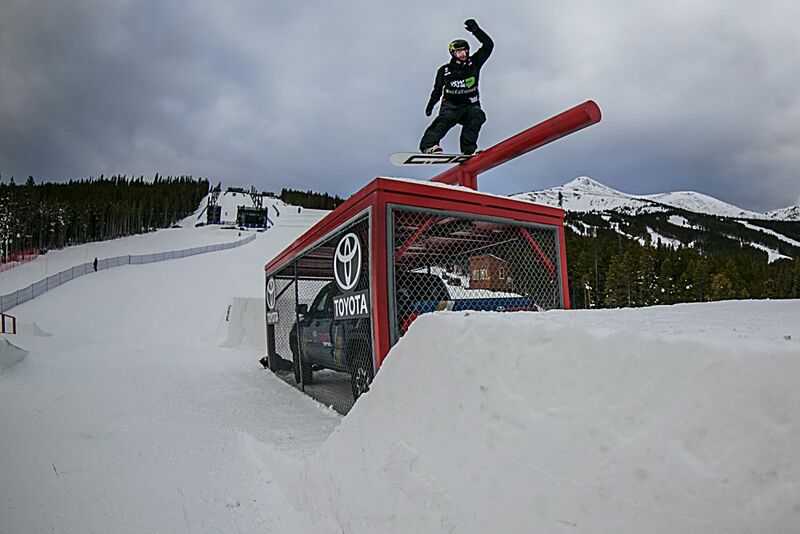 Just three days ago, Roisland won the U.S. Grand Prix Big Air event at Copper Mountain Resort, besting another snowboarder from Silverthorne, Chris Corning, who took second place at the Grand Prix despite a sudden hip injury. On Wednesday, Corning gutted through the pain once again to tally a 71.00 in the slopestyle qualifier, good enough for 10th place and a spot in Saturday’s final. Americans Brock Crouch (76.66), Judd Henkes (74.33) and Nicholas Baden (70.66) also qualified for Saturday. 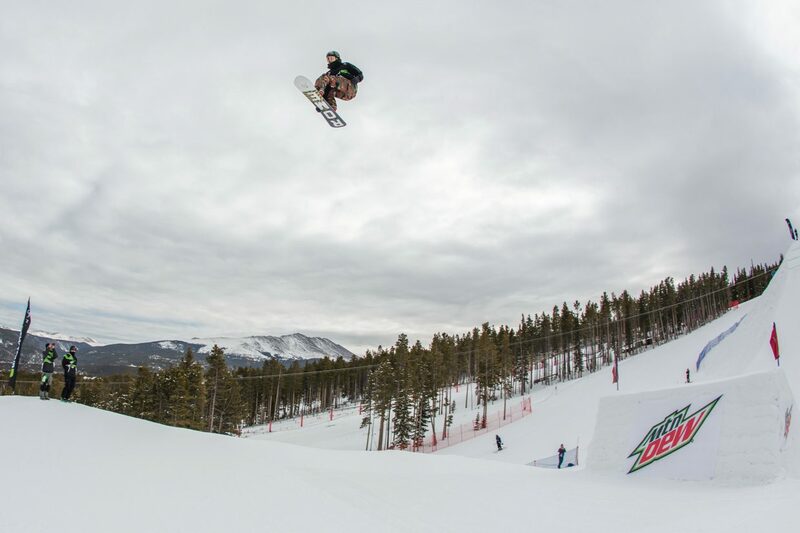 Like the Big Air Grand Prix at Copper last week, the Dew Tour slopestyle final is a U.S. 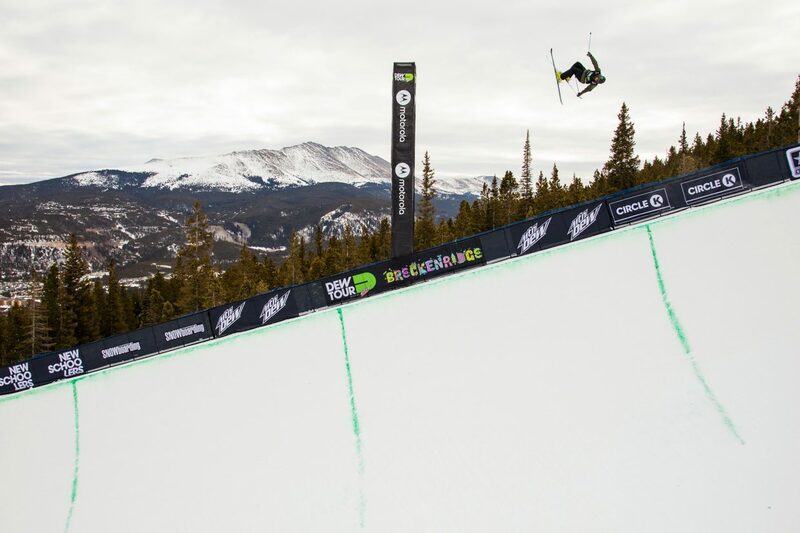 Ski & Snowboard Olympic qualifying event, as are the rest of the men’s and women’s halfpipe and slopestyle snowboarding and skiing competitions taking place at this week’s Dew Tour. 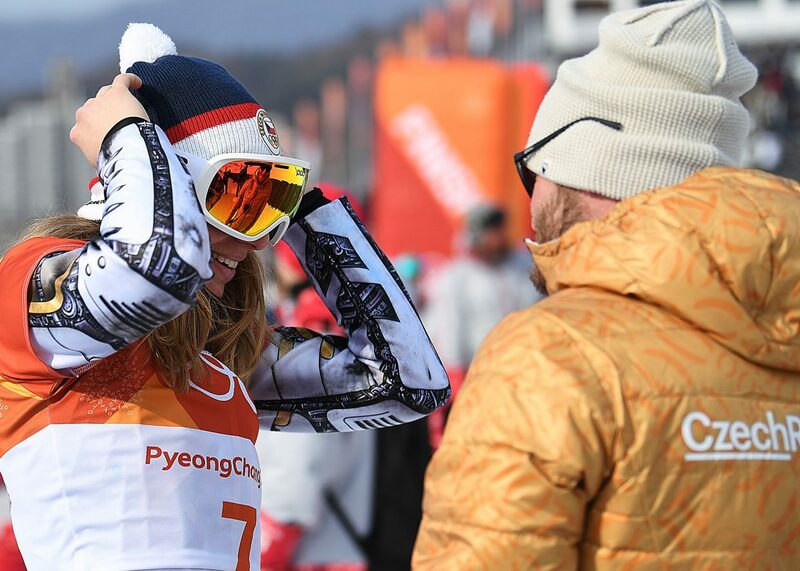 Just five days after he won the U.S. Grand Prix ski halfpipe championship at Copper Mountain Resort, reigning Olympic halfpipe gold medalist David Wise ended Wednesday’s qualification stage just as he concluded at Copper: in first place. 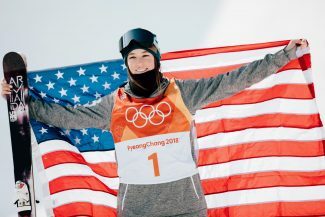 Wise’s 93.33 led a dominant American performance on the halfpipe on Wednesday, as five other Americans followed up the favorite. Alexander Ferreira qualified in second (89.66), Aspen’s Torin Yater-Wallace in third (88.33), Birk Irving in fourth (87.33), Gus Kensworthy in fifth (85.33) and Aaron Blunck in sixth place (84.00). The United States’ Kyle Smaine (10th place, 82.33) and Taylor Seaton of Avon (12th place, 81.33) also qualified for Friday’s final. American Jamie Anderson heads into Saturday’s final with Wednesday’s impressive high score of a 90.00, well ahead of second place finisher Spencer O’Brien of Canada (86.66). Anderson’s fellow American Hailey Langland took third place Wednesday with a score of 84.00. 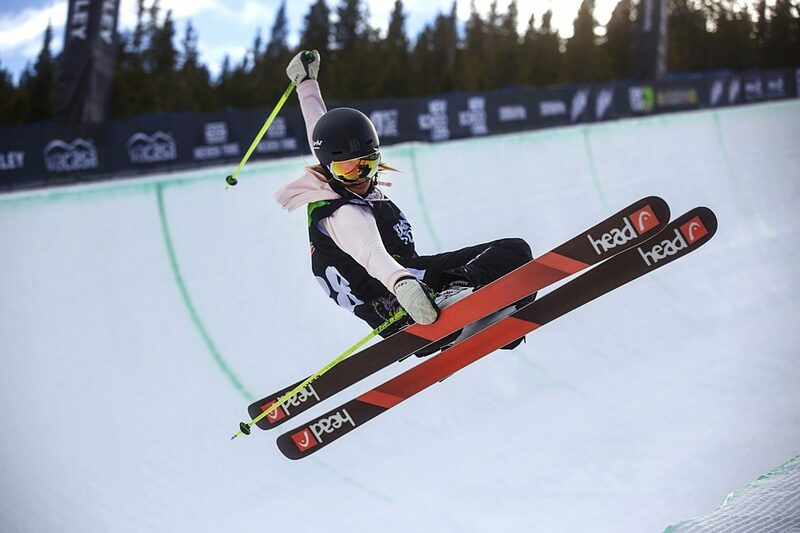 And three days after she took second place at the U.S. Grand Prix Big Air finals at Copper, American Julia Marino qualified for Saturday’s final with a fifth place finish and score of 78.00. Cassie Sharpe of Canada was able to edge Marie Martinod of France, last week’s U.S. Grand Prix ladies ski superpipe champion, during Wednesday’s qualifier. Sharpe tallied an 88.33, exactly two points better than Martinod’s mark of 86.33. Three American women finished 3-6 on Wednesday, led by Brita Sigourney’s 85.33, Devin Logan’s 83.66 and Maddie Bowman’s 81.00. Americans Annalisa Drew (seventh place, 78.33) and Carly Margulies (eighth place, 76.00) also qualified for Friday’s final. 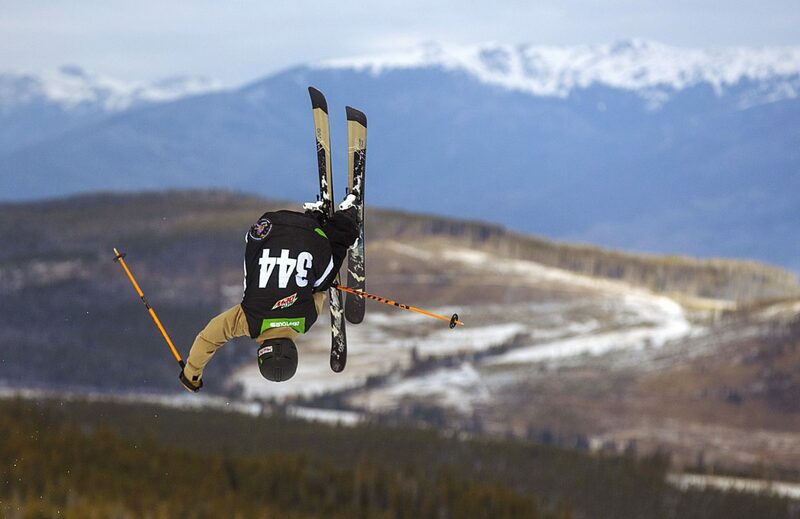 The men’s ski superpipe finals will take place from 9 to 10:15 a.m. on Friday. The women’s ski superpipe finals will follow from 11:30 to 11:45 a.m. 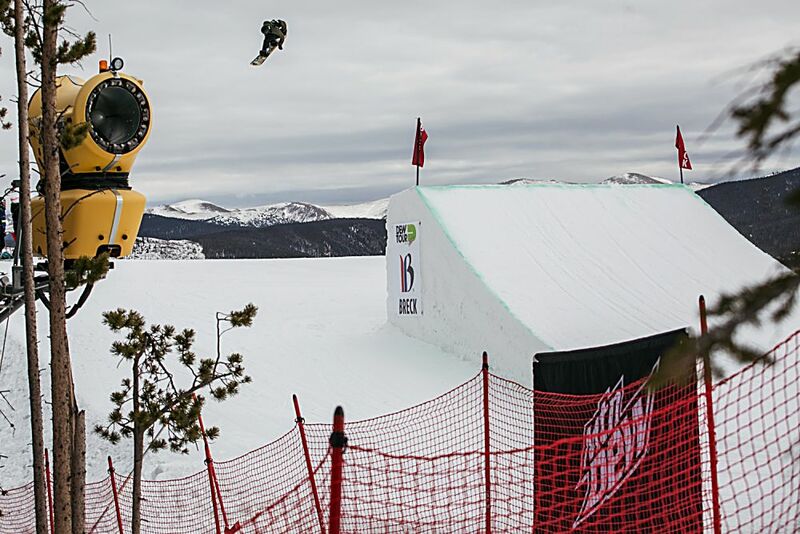 The ladies snowboard slopestyle finals will take place from 9 to 9:45 a.m. on Saturday. 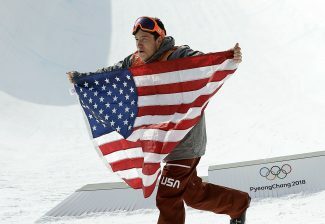 The men’s snowboard slopestyle finals will follow from 10:15 to 11:30 a.m. on Saturday. 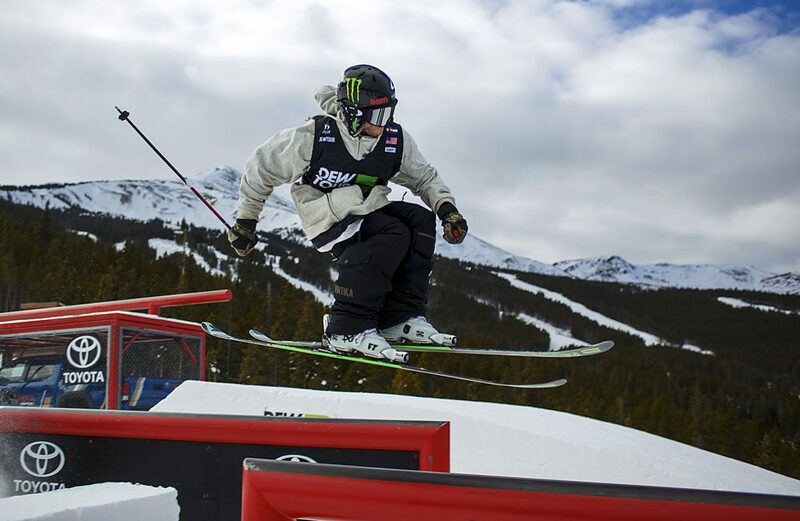 Competition continues Thursday with snowboard men’s and women’s superpipe qualifiers and ski men’s and women’s slopestyle qualifiers taking place throughout the day at Breckenridge Ski Resort.